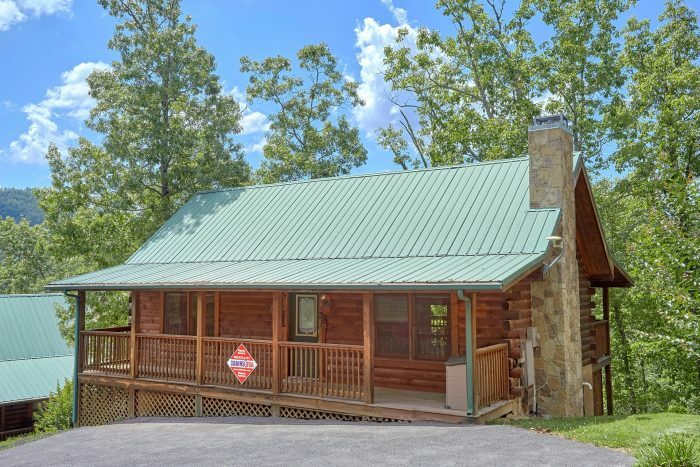 Ready for an affordable cabin vacation in Pigeon Forge? 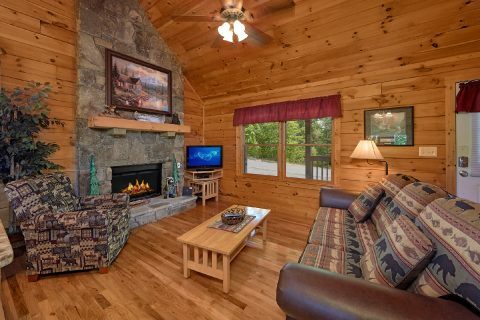 Simply book "A Cozy Cabin" in the beautiful Arrowhead Resort area! 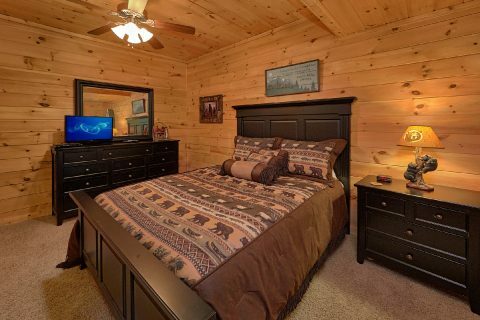 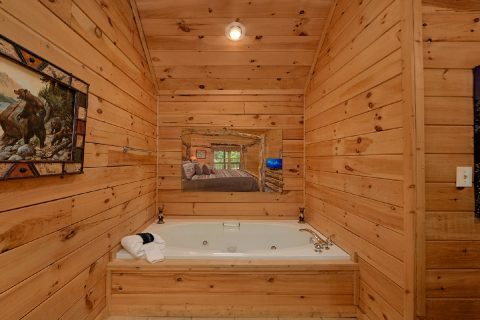 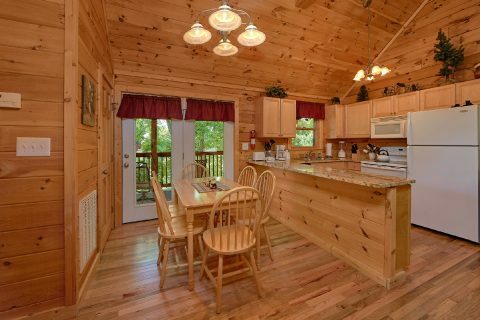 With a prime location that's just over a mile from the action-packed parkway of Pigeon Forge, this comfortable 2 bedroom cabin is perfect for exploring exciting local attractions. 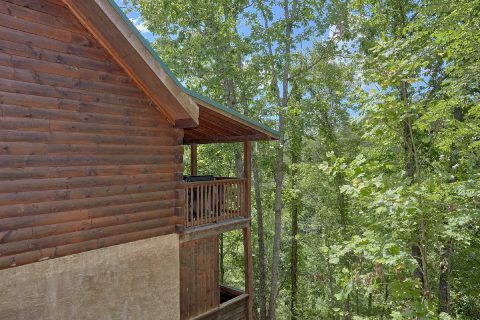 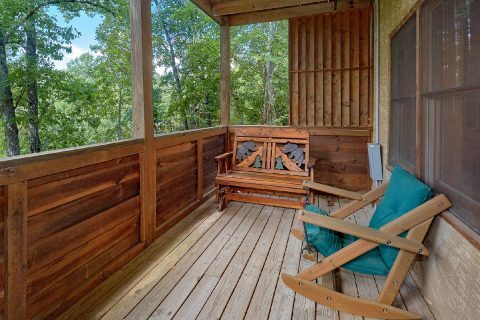 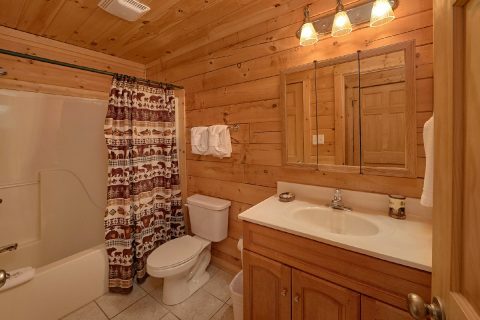 When you aren't busy enjoying top local sights like Dollywood, The Historic Old Mill, and The Island, you'll love unwinding at this affordable cabin with great amenities for your stay. 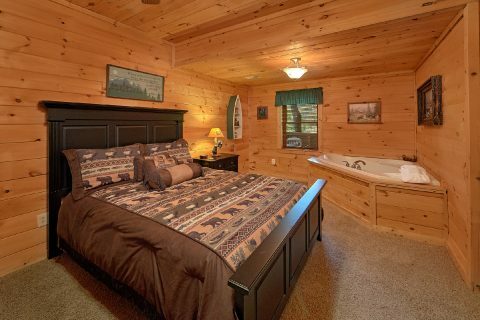 This 2 level cabin offers a private queen bedroom and bathroom on both levels, so it can accommodate up to 4 guests in comfort. 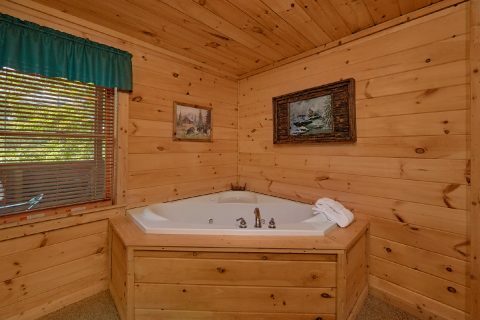 Better yet, both bedrooms come with a private jacuzzi tub, so this rental is ideal for romance. 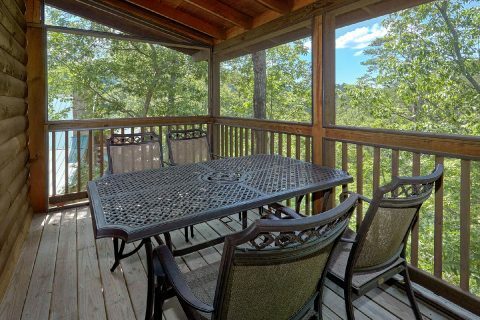 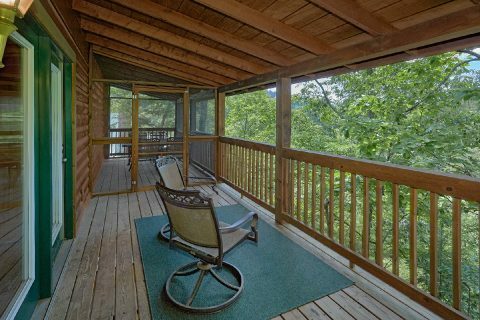 For relaxing in the fresh mountain air, this rental provides 2 private decks. 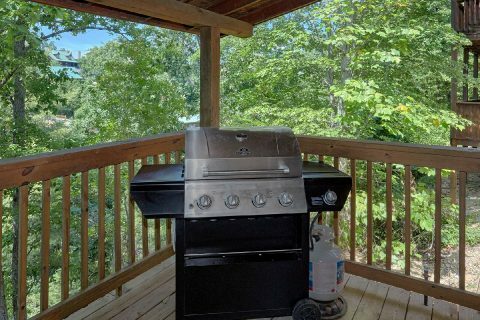 An upper-level deck boasts your cabin's hot tub and there's also a screened-in area with a picnic table that's perfect for enjoying a meal outside. 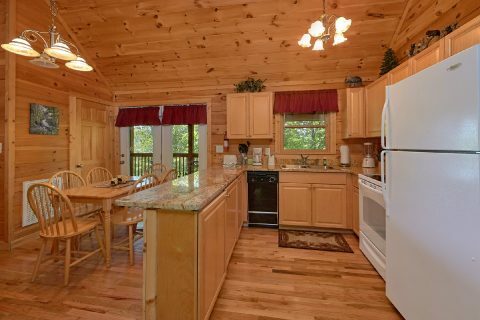 You can make delicious dinners with your cabin's full kitchen and gas grill. 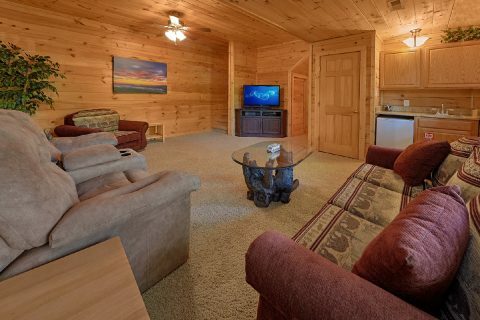 For even more fun in the outdoors, this resort cabin rental also offers guests outdoor swimming pool access during the warm summer months. 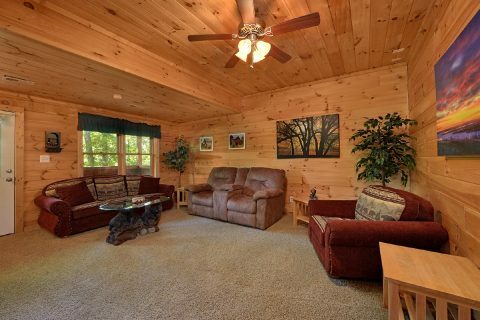 Everyone will love gathering in the welcoming living area to enjoy the gas fireplace or just enjoy a fun evening with the people who matter most. 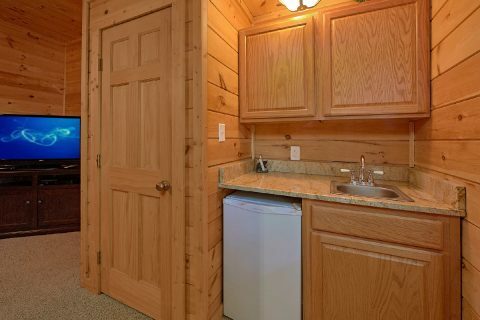 As an added perk, this cabin rental also offers practical features like WiFi Internet Access and a washer/dryer for guests to use during their stay. 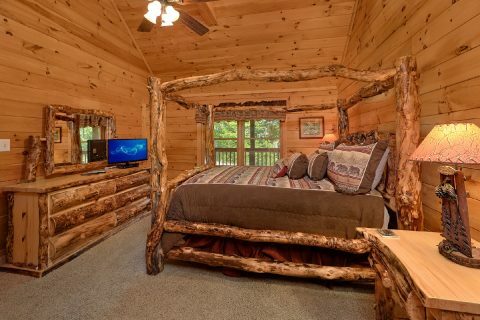 Book "A Cozy Cabin" online today with Cabins USA to earn a special 15% discount on your nightly rate! 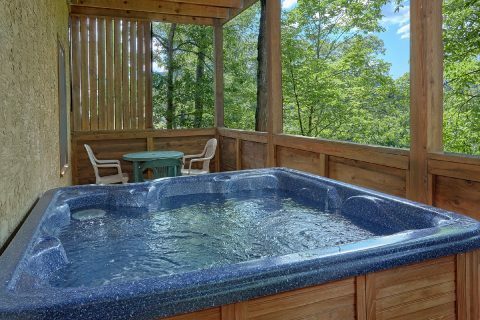 Save more of your vacation dollars for exploring the best that the Smokies have to offer when you reserve this budget-friendly rental!